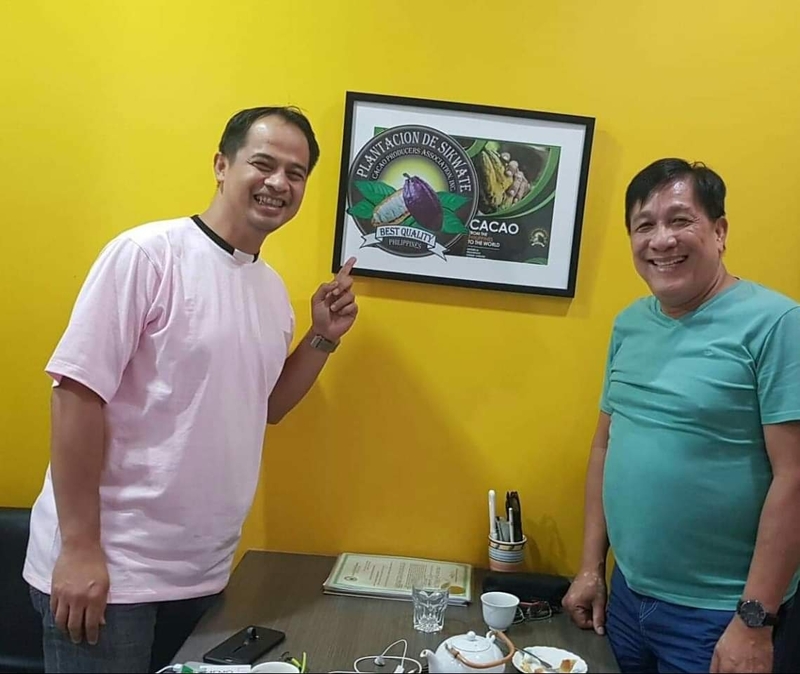 With God’s Grace: Bulacan Missionary Church Plants Filipino Aromatico Seedlings – Plantacion de Sikwate Cacao Producers Association, Inc.
Fr. Nap Baltazar is from my hometown in Bulacan. He wanted to plant cacao in order to feed the street children with champorado. At first you may say why not lugaw like we always do. Yes, that is common but does it have the right vitamins and minerals to last a day? Champorado with real Filipino Aromatico cacao tablea is filled with antioxidants, vitamins, and other remarkable goodness that grow, go, and glow. We are happy to share that the open area of their church shall plant the heirloom cacao seedlings. In no time, the children will enjoy a good cup of Champorado personally made by the people they look up to. Now that we are here, remember that cacao/chocolate is considered the food for the gods? Fr. Nap’s presence takes us closer and under the Divine mercy of our Lord. In today’s gospel, the parable of the Prodigal Son was mentioned. We may have went the other way when we believed that cacao in the country is about to die. We tried different crops and strategies but the real variety knocked at our doors. Those who may have thought we have sold our souls to the devil now opened their eyes that what we offer is the chance to allow farmers gain their grounds and use their voices. The Prodigal son may be us or you. In someway or another, we have made the wrong decisions, we have faltered. Now that the truth is here, accept and rejoice because you did not seek false paths or false messengers to bring you closer to a bountiful harvest.